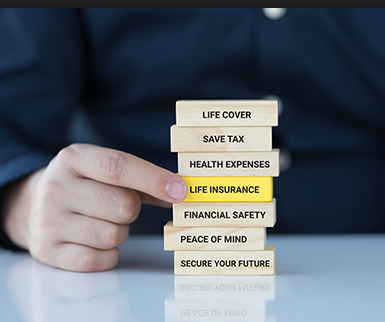 Top 10 Factors Affecting Life Insurance Premium Costs: A great way to help and protect your loved ones, is with Life Insurance which can be a huge investment as well. A lower premium paid can yield to a good amount of savings over a period of few years. Life insurance premiums are based on a number of factors, and it can be quite tedious for a few people to understand why and what the charges are, and why they pay a rate that may not be the same as another. There are some factors that many insurance companies consider when pricing their policies, there factor may not be within your control. But the life choices you make, can also lead to the factors that can affect your Life Insurance premium. Age: This is an obvious and not surprising factor that affects your Life Insurance premium, the age of the policyholder. If you’re young the rates will be lower in comparison to someone older. The possibility of a young individual contracting a life threatening disease or to pass away in their youth is very unlikely. The insurance companies believe that you’ll make many premium payments before they have to write a cheque for your family. Gender: Insurance companies aren’t against gender equality, but they believe there is a different life expectancy for different genders. As per the studies and statistical findings, women are believed to live 5 years more than men at the minimum. Therefore affecting the premium they pay, making them pay the premium for a larger period of time but at lower rate which is a plus point for the women. Smoking: Smoking puts the policyholders at higher risk of all ailments, so if you’re a smoker that that’s as good as raising a red flag to the insurance companies. Most smokers pay a premium twice as much as non – smoker does, thus affecting the premium to a huge extent. Medical history: There’s isn’t much one can do with the gene pool they come from. If a policyholder has a medical history of serious illnesses like cancer, heart diseases, or any other, then that makes them susceptible to get these from a hereditary perspective. Which increases the individual’s premium by a larger margin than if their gene pool wasn’t. Health records: You as the policyholder will also need to provide your own health records. These records will ensure that you don’t have any chronic diseases or potential health issues and keep your premium also in check instead of making a difference to it. Drinking: Drinking of alcohol is injurious to health in more ways than one. If you as the policyholder are a heavy consumer of alcohol this can affect your premium at higher insurance rates. Insurance companies ensure to ask the applicant if they are smokers or drinkers. The Policy: The policy itself also affects the premium you pay, the longer the tenure of the policy the larger the amount of the benefit at the time of death, since you’re paying it for that period of time. Short term policies are more expensive that long term. Profession: Your profession also plays an important role in the premium you end up paying, any policyholder working in the mining industry, oil and gas, fisheries or any other dangerous profession increases the premium amounts you pay for the policy you decide to take. Lifestyles choices: Many insurers have a higher premium for people who love to takes risks for the thrill of it. Like speeding cars, climbing treacherous mountains or other high risk activities. Thereby increasing your premium to substantially more than other. Obesity: Obesity is another factor that affects your premium as a policyholder, being obese can lead to a number of health problems like Osteoarthritis, High Blood Pressure, Cancer, Stroke, Coronary Heart Disease, causing overall health problems in the future and also increases your rates. 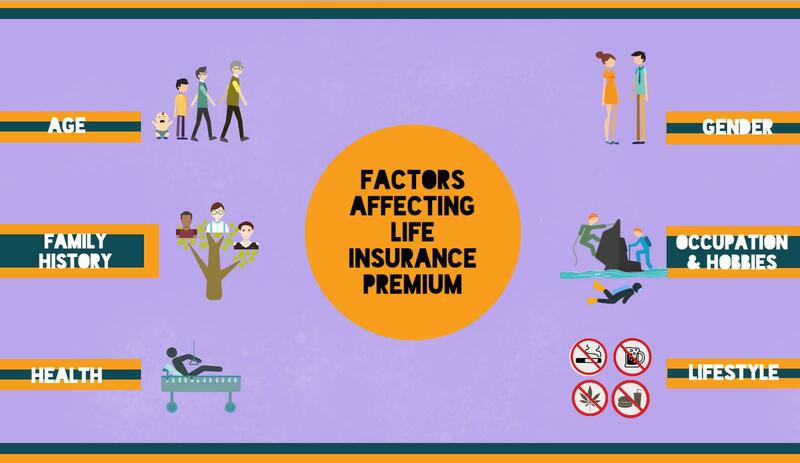 How these factors affect your rates of premium is dependent on the insurance company and the way they treat these factors and the combination of them. For example: having a history of cancer in your family and still being a smoker can affect your rate in more than one way or being obese and having a history of heart disease also affects your rates of premium. Every insurance policy is based on each individual and premiums are calculated on the insurance company’s rules of rating. Related Posts of "Top 10 Factors Affecting Life Insurance Premium Costs"